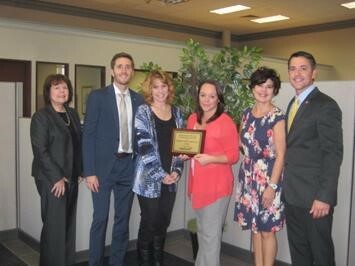 Smith Insurance has been named Travelers Key Agency Partner of the Month! The recipient of the August 2015 “Western & Central NY Key Agency Partner of the Month” is the Gerard P Smith Insurance Agency located in Webster, NY. The office received a plaque to commemorate the day and lunch at the Brimont Bistro. Additionally the office is now eligible for the WNY & CNY Key Agency Partner of the Year award.